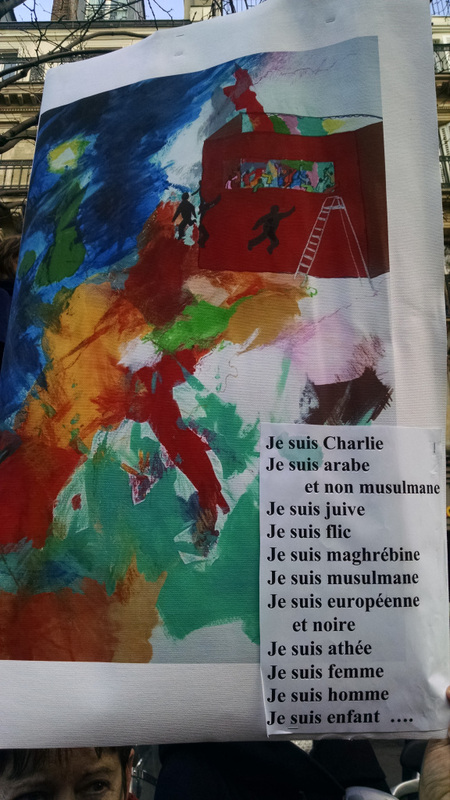 Nous sommes tous Charlie! 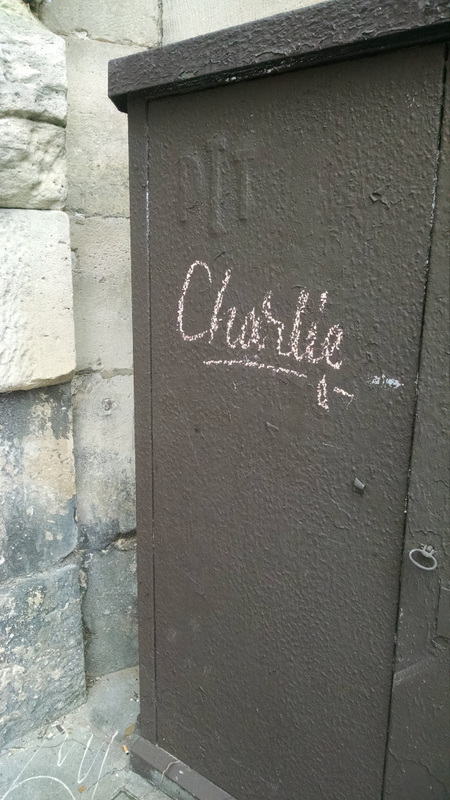 We are all Charlie. Thank you for a great article Caitlin! They came in wheelchairs and on crutches. They came carried in baby slings. They came — like Richard Smith, former editor of the British Medical Association Journal who I randomly met this morning at the cafe at St. Pancras Station as we were both about to board the 8:19 Eurostar to Paris — from other countries to show their solidarity. He decided, last-minute and spur of the moment, he had to cross the Channel to lend his support in person. 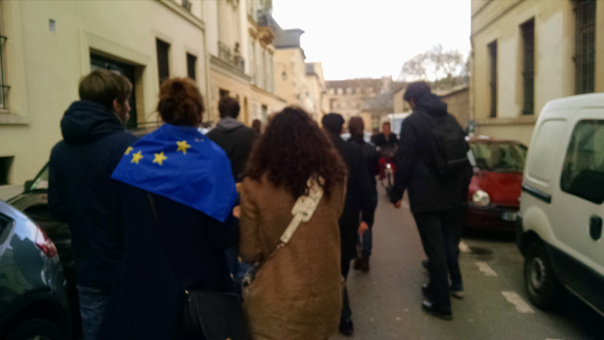 They came in six-inch stilettos and black leather trousers, teens to seniors, a river of humanity that started flooding across the city by 1pm heading to Place de la Republique. Posted on January 11, 2015 by S. K. Reiter. This entry was posted in Uncategorized. Bookmark the permalink.